Our "Golden Family" In The News!!! that were held in Vermont in June. 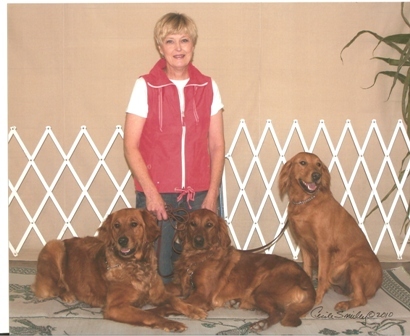 THREE Golden Retriever males both qualified and competed. FOUR of our young dogs at Saturday Night Goldens are sired by those three dogs! Lucky and Solo each earned a Rally Novice and Canine Good Citizen! Annie earned a Canine Good Citizen and two legs on a Rally Novice!